This week’s Once Upon a Time kept us glued till the last second. There’s obviously more to the #SaveHenry story, but how did this happen? What does it mean? And what else is on the way? This and more as we look ahead to next week’s episode as well as the midseason finale set to air on December 15th. Regina, Emma, and Snow are trapped by Pan’s Thinking Tree which feeds off its victims regret to keep them trapped. So as we learned from the end of Sundays episode, Pan is now controlling Henry’s body, but how: Did Regina take the wrong heart out of Pan? 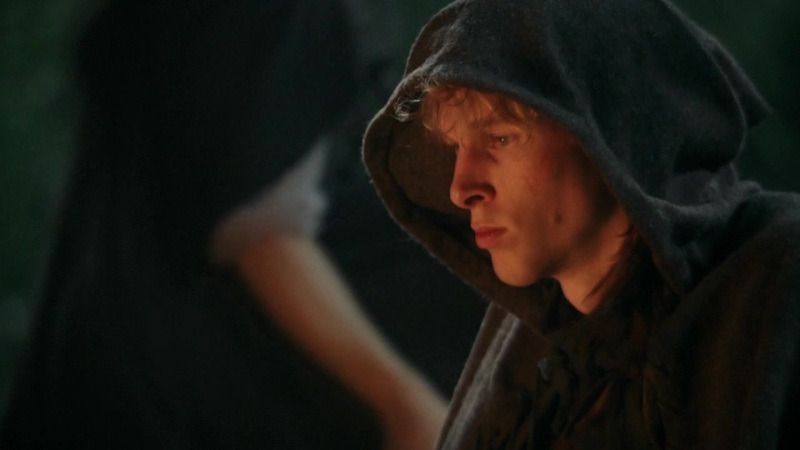 Did some of Pan’s darkness come with getting Henry’s heart back? It’s neither of these actually. If you pay close attention to the moment Pan attacked Henry in The Jolly Roger, you see the fateful moment. When Mr Gold bursts in to capture Pan, Pan’s eyes glow gold – as does Henry’s a second later. The final image of Pan is him looking disoriented and shouting ‘No’ as he’s trapped in PANdora’s Box (Clever Once writers, clever). That last cut of Pan was indeed Henry. Unable to steal Henry’s heart or escape from Pandora’s Box, Pan decides to switch places with the young boy. They can’t switch them back so Pan (in Henry’s body) is now locked up, and Henry inhabits Pan’s body. Which way it’ll go depend on ‘how’ exactly Pan was able to switch bodies with Henry. Perhaps it has to deal with ‘blood magic’ as Mr. Gold alluded to before sealing Pan away. Another important question is whether or not this means that Peter Pan once again has the ‘Heart of the Truest Believer’ since he is Henry now. Personally, I would love to see Scenario 2 happen. Robbie Kay is a great actor. Don’t get me wrong, Henry is a great character as he is, but remains magicless. In a town full of Fairytale superstars, he’s kind of out of place. If Henry’s goodness was to inhabit Pan’s body, we’d have a much more powerful character. With Ursula most likely going to be a future villain – not to mention that I’m fairly certain an immortal Maleficent is still roaming around – the role of a new powerful character is needed more than ever. 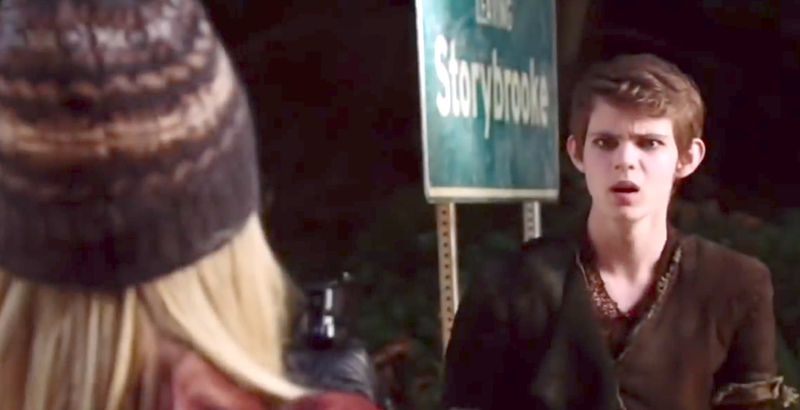 In this promo from next week’s episode, we see Henry try to convince Emma that he and Pan have switched bodies. 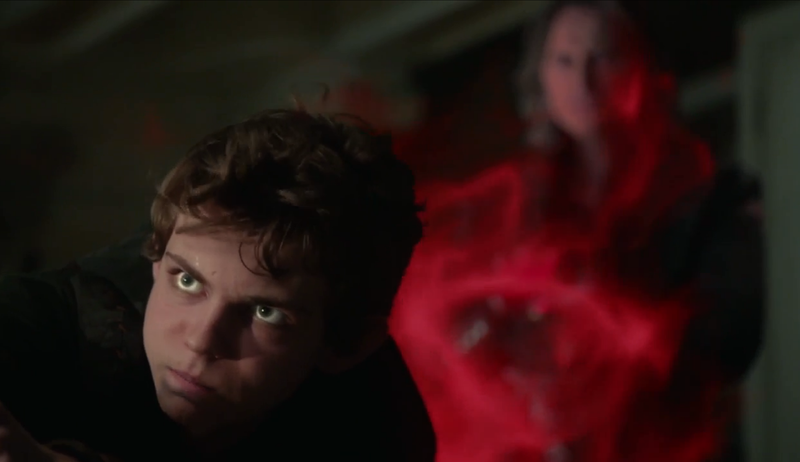 Another great reason for Henry to stay in Pan’s body would be to redeem the image of Peter Pan. Each villain has always had a moment of redemption. With Pan being originally a hero in our childhood visions, he deserves to have his name restored – after all, the name “Peter Pan” wasn’t self appointed, but rather comes from Rumplestilskin’s childhood doll. Henry would be the perfect person to embody goodness and loyalty of Disney’s Peter Pan. Lately I’ve been trying to figure out just who this leader of the Lost Boys is. His dedication to Pan and disdain for adults of any kind is almost frightening. He’s not a simple extra, so he deserves a counterpart. So I started thinking of fairytale characters with a hatred for adults, but then I recalled that there are other realms. Beyond Neverland, Wonderland and Camelot, there is a world without color. This is the realm Victor Frankenstein hails from, but he isn’t a fairytale character. Perhaps Felix’s identity can be found here? If you think outside the realm of fairytales and look at all of literature, there is one well-known character that would fit perfectly in Pan’s circle: Tom Sawyer. A stretch I know, but it is fun to think about. With Once expanding into non fairytale worlds, anything is possible. I wouldn’t be surprised to meet Jason and the Argonauts at some point – probably with Ariel. We have still yet to see what the old seerer meant in her prophecy to The Dark One. Personally, I believe the boy won’t be Henry per se, but rather Pan in Henry’s body. Just remember that ‘undoing’ doesn’t mean death. It will most likely mean that Mr Gold will no longer be The Dark One nor have powers – which again makes an opening for a good Pan to join the crew. 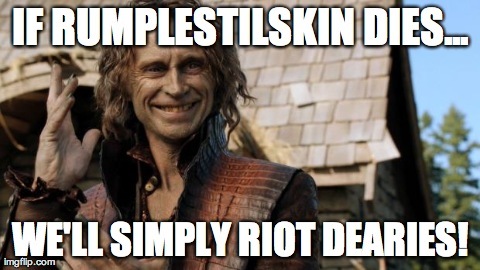 At least I hope they can’t kill of Rumplestilskin/Mr Gold. He is a huge fan favorite and also has one of the most dynamic relationships of anyone on the show. If he dies, I don’t know what will happen, but it wont be pretty. Overall, I’m happy that the Pan saga is coming to an end. Between Regina and Robin Hoods eventual romance and some new character back stories to go into, I can’t wait to see the second half of this season.